Alpine exploration is mental as well as physical, and concerns itself with the adventures of the mind in touch with the mountains as well as with the adventures of the body in contact with a cliff. Sir Arnold Lunn was a skier, mountaineer and writer. 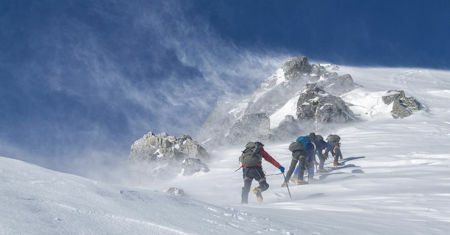 This book presents a statistical analysis of mountaineering in the Nepal Himalaya. The analyses in this book draw primarily on information from The Himalayan Database and examine expedition climbing activity, ascents, and fatalities. Mount Hood, Mount Adams and Mount St. Helens. From maps, descriptions of peaks and wilderness areas to detailed mountaineering proofs, enthusiasts can now experience the thrill of the greatest peaks as they were in the early part of the century. Contents: Crater Lake; Exploration Department, Oregon Alpine Club; Illumination of Mount Hood; Josephine County Caves; Mount Rainier; Night on the Summit of Mount Rainier; Oregon Bibliography; Our Mountains in War; Presidents of the Club; etc. Tales of adventure easily intelligible to the non-climber, the lessons which most adventures can teach to those who may climb themselves one day. The book should be read by all who think of Alpine climbing, and by all who love stories of adventure.